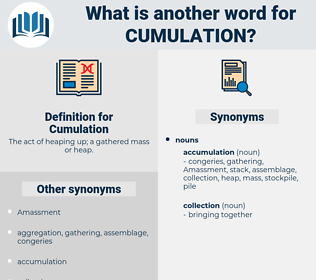 What is another word for Cumulation? 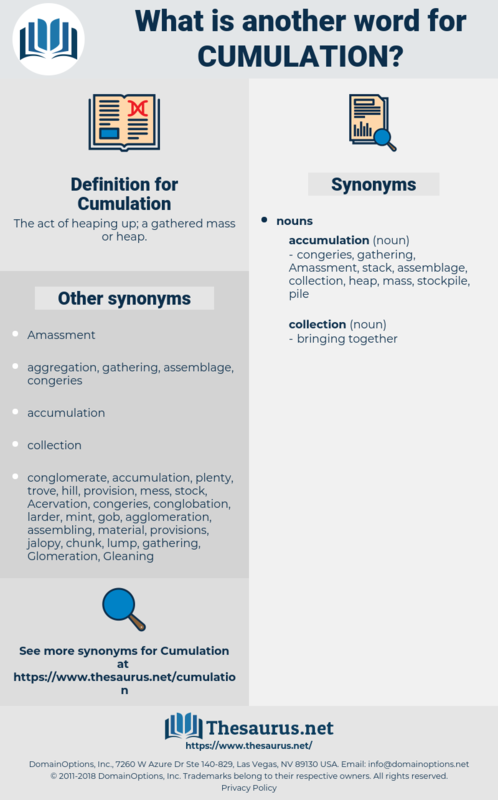 The act of heaping up; a gathered mass or heap. combination, backlog, build-up, cumulative, roll-up, stockpiling, Stacking, buildup. There is nothing so easy as the creation and the cumulation of fearful incidents after this fashion. As the reading progressed, Bobby thrilled more and more at the cumulation of the interest.